There is not much in the way of flowers left in our gardens beds around here. In mine, there are only a few straggling daisies and the like. 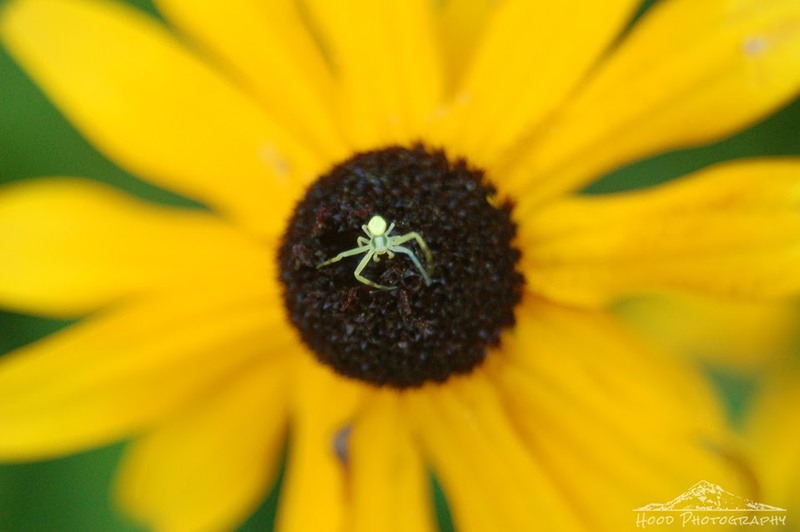 I spotted this tiny green garden spider perched on a Black Eyed Susan. He definitely saw me coming at him with my camera though, because he took off really quickly right after I snapped my shutter. The noise probably disturbed him. Nice shot! The tiny spider is so cute! That's simply stunning! What a macro!